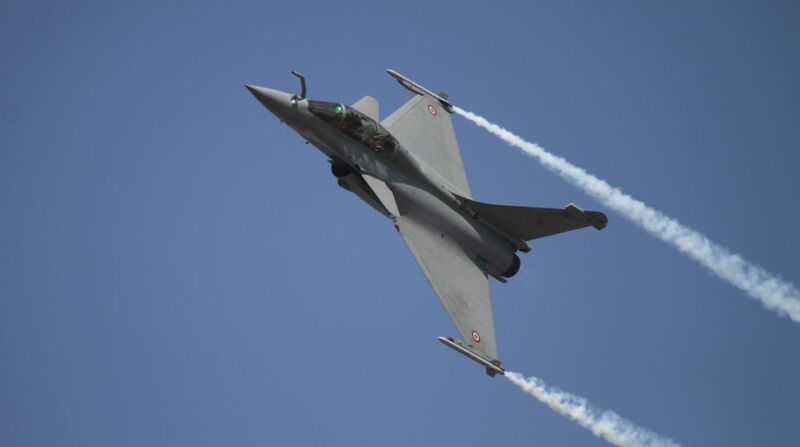 Reliance Group Chairman Anil Ambani will fly in French Rafale fighter of Dassault Aviation on Wednesday at the Aero India 2017 expo airshow at the Yelahanka IAF base here, said the company on Tuesday. "Ambani will do a sortie in Rafale jet on Wednesday afternoon. He will be in flying overalls, with G suit, flying boots and helmet with oxygen mask for the hour-long flight," said Reliance Group in a statement here. A G-suit is an anti-gravity garment worn by fighter pilots to endure high levels of acceleration force (gravity). The suit inflates and prevents blood from pooling in feet and causing loss of body consciousness. Ambani, 57, also known as the Marathon Man for his long distance running abilities, will undergo a pre-flight briefing on the emergency systems, how to operate the Heads-Up display and the ejected/egress procedures. The sortie profile comprises takeoff acceleration from 200-500 knots in full afterburner to 5,000 feet and, thereafter, climbing to 16,000 feet to give Ambani a first-hand feel of the aircraft's advanced digital fly-by-wire (FBW) flight control system. "The Rafale FBW is safe and easy to control and a highly agile aircraft. The aircraft is designed to take on any role (air, ground, reconnaissance and strike), but still have the flexibility to rapidly switch roles effectively once a sortie is under way if operational requirements change," the statement said. Once within the allocated flying sector, there will be assisted manoeuvres at 20,000 feet comprising medium to steep turns, climb with engaged reheat at about 9G before getting into deep-dive and level-out at around 15000 ft for a rejoin and landing back at the air base. "Anil Ambani, a regular marathoner, with a strict fitness regime, will add another first to his many more with this sortie," the statement said. The Mumbai-based Reliance Group has set up a joint venture (Reliance Defence Ltd) with Dassault Aviation of France, to meet the 50 per cent offset obligations, that are a part of the 36 Rafales the Indian Air Force (IAF) has ordered for inducting into its frontline fleet at a value of euro 7.87 billion (Rs 55,689 crore/$8.34 billion). The twin-engine medium multirole combat aircraft twin-engine Rafale, which in French means 'burst of fire' is equipped with a range of weapons, including the latest missiles, which will give the IAF an edge over arch rival Pakistan. India and France signed the multi-billion euro deal in New Delhi on September 23, 2016 after the IAF opted for it over the Eurofighter's Typhoon that were shortlisted to replace the ageing Russian-made MiG-21 fighters of the sixties and seventies. The canard delta wing metal bird will be a strategic force in the IAF as it has the Beyond Visual Range Meteor air-to-air missile with over 150km range.